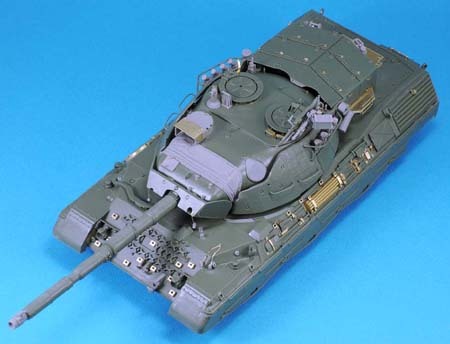 This extensive set comprises of 65 Resin parts and 176 PE parts and is designed for the Takom 2004 1/35 Scale kit. See additional detail photo below. Note: this set is only for the C2 version and will not be correct for the Takom 1A5 tank. We will release another set just for the Takom 1A5 Leo.